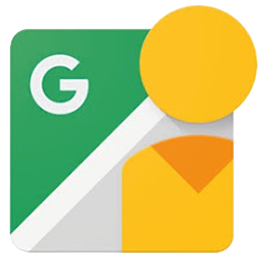 Google Street View for Business is the extraordinary new feature of Google Maps, bringing 3-D Street View technology inside your business. Imagine a 360 interactive panoramic virtual tour of your business interior, showcasing all you have to offer to a searching public as they virtually walk around and check out your place, from anywhere in the world. Fact: 80+% of purchasing research begins on the internet. Google Street View for Business allows consumers the ability to check out your interior and become familiar and engaged with you when it counts- when they are looking for what YOU sell, what YOU serve, what YOU do. Hotels, restaurants, retail stores, churches, businesses of all types benefit from this amazing technology.. and so will you. A Google virtual tour of your business is the perfect way to showcase the unique features of your business, and potential customers (and perhaps your competition) will say, “WOW!”. We further enhance your Google + page with snazzy still photography of your place, and you can use these images in other marketing as well. We are the #1 Trusted Google Photographers in the area, 16-time Google Top Performer, Silver, Gold & Platinum award winners. Virtual reality photography is our specialty, and has been for years. We work with each business owner to personalize your virtual tour and show your business at it’s best, in stunning panoramic detail. Like to see some local samples? No problem, we’ve shot hundreds of Google virtual tours in South Florida and beyond. The Google virtual tour of your business will be seen on Google Maps, Google searches, and Google +Local. We’ll also show you how to embed the tour on your website, social media and more. The image-rich content will instantly improve your Google rankings overall. Google virtual tours are a proven, instantly effective and affordable enhancement to your Google presence, and an absolute necessity in today’s internet driven marketplace.. There is a small, one-time production fee (a fraction of other, less effective marketing methods) that’s dependent on the size of your space & the areas you’d like included. No cost per click, no monthly fees, no maintenance.. ever. We’re happy to give you a no-obligation quote. Give us a call at 954-529-8865 or fill out the form with your business details and we will be happy to contact you directly to go over your exact needs. Large Hotels, Retail Outlets, Malls, Schools, Community Centers etc.